for use with or without the PilleVippo bouncer. Macro, shadows can be lightened up like shown in the two images at right (examples). Snapshots, a second reflector (right image) can be used to lighten up shadows. for creating a dark/ toned background (example). - side light (right image), the opposite reflector can be tilted as shown for better effect. same width as two boards thickness and same length as the longest board side. press the aluminium roll downwards while rolling to avoid bubbles. 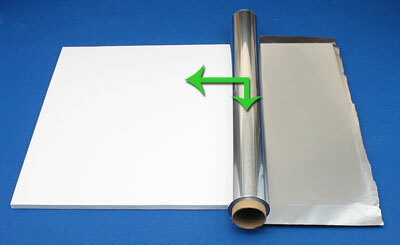 - Cut off the aluminium foil that is outside of the board edges. 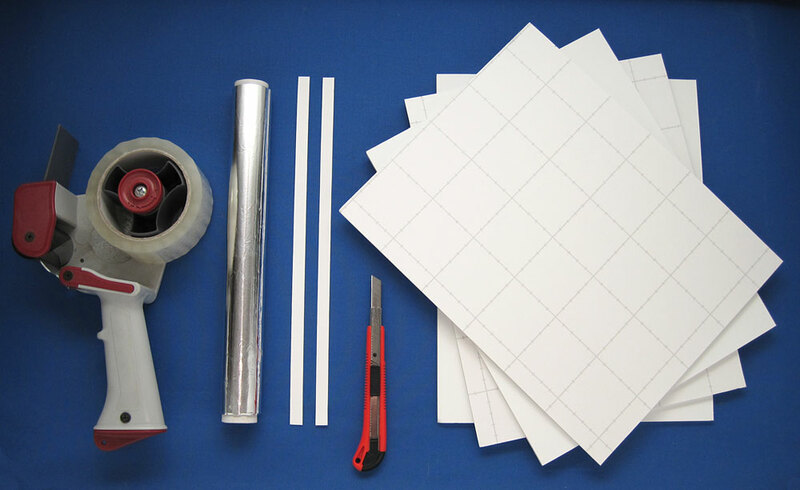 - turn the boards inside out and tape on the other side also . making it possible to fold the reflector both ways.